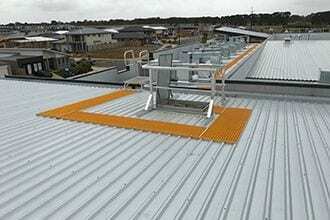 Our roof anchor points make it easy for workers to keep themselves safe. 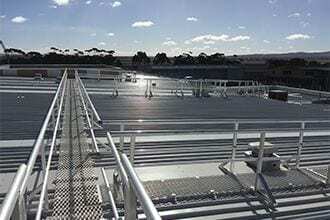 And the roof anchor point systems we recommend don’t just offer superior safety – they’re cleverly designed to provide free and easy movement for people working at heights. 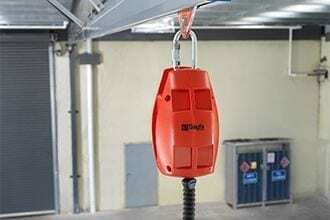 If a worker trips or slips while their safety harness is connected to an anchor point, the fall is controlled and the chance of any pendulum effect is minimised. In most cases, workers can right themselves and get back to work. 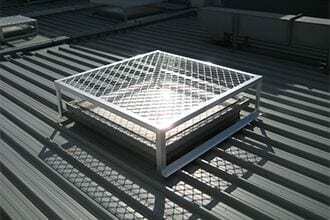 Whether it is for gutter maintenance, roof mounted plant servicing, solar panels and roof-mounted mechanical equipment or abseiling, Anchor Safe is able to design, supply and install a compliant and user-friendly roof anchor point system for work at any height. 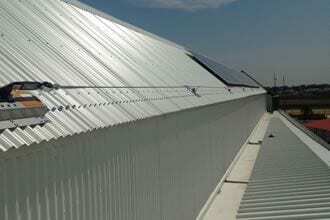 It’s important to choose the right roof anchor system for the right job. 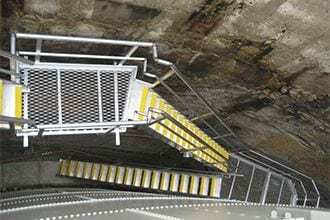 Anchor Safe’s experts can design a customised system for every application to ensure maximum safety. We consider the type of anchor point and mount required – such as steel, corrugated, span, concrete, tile, truss or steel purlin mount. And then we strategically place the anchors to ensure easy access to key areas. We also assess whether they should be connected via a fixed or an adjustable lanyard. 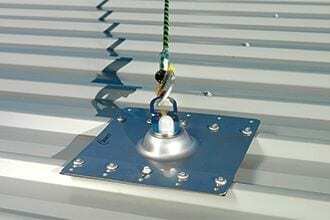 Two of the most common roof anchor point systems are Surface Mount Anchor Points, which are easy to install and can be used on almost all metal roofs, and Concrete Mount Anchor Points, which are commonly used on high-rise buildings. 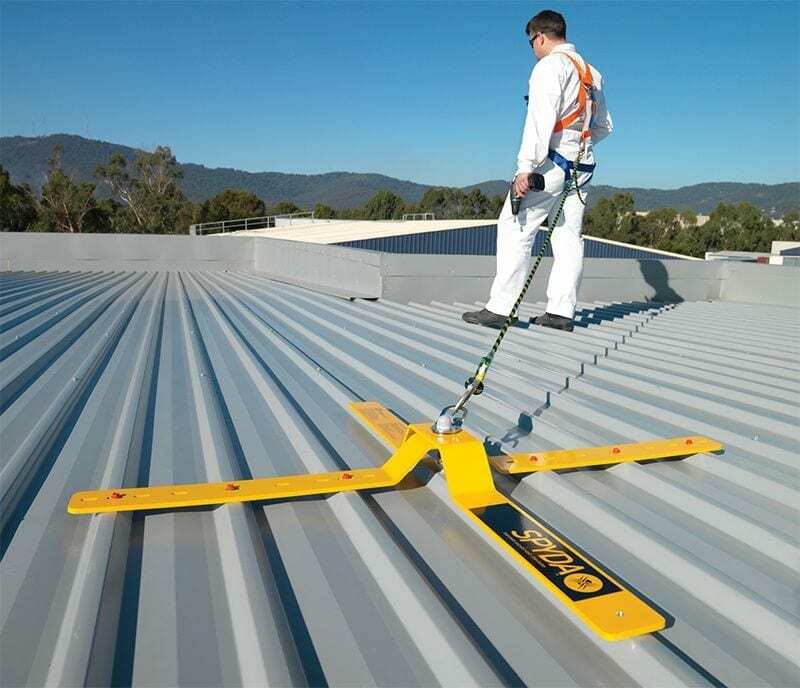 Roof safety anchors are used in tandem with height safety personal protection equipment (PPE) such as a harness and lanyard fall protection system. We supply a full range of complementary height safety products for ultimate peace of mind. 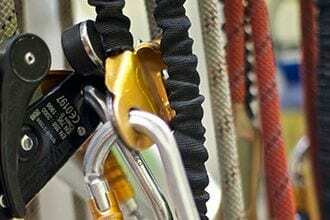 Anchor Safe’s installation professionals have been extensively trained to comply with AS/NZS 1891 – Industrial fall-arrest systems and devices. 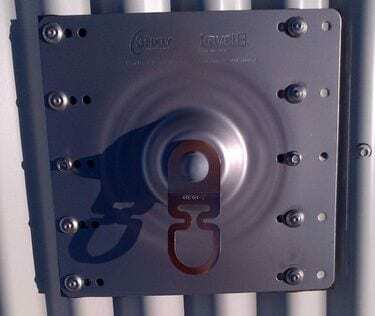 As part of the installation, Anchor Safe supplies installation certificates and manuals as required by AS/NZS 5532. 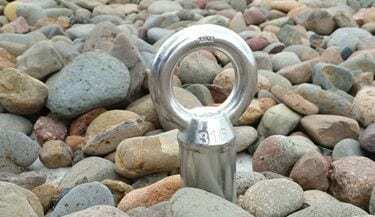 Under AS/NZS 1891 anchors must be tested annually. As a full service provider Anchor Safe will arrange this for you, and we can also manage the rigorous record-keeping through our cloud based reporting system. 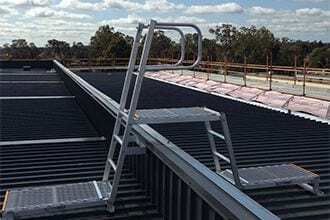 To find out more about roof anchors and how they can be used to comply with Australian OHS laws, speak now with a Height Safety Specialist.